Till technology is certainly evolving rapidly with the growth of self-scanning, contactless and smartphone-enabled payments. So it is worth having a quick look at what we can expect to see in retail over the next 12 months. Making grand predictions about the shape of retail or the fortunes of individual operators can tar the reputation of any self-styled guru of the high-street. Of course that does not hold back the analysts. This month they had to eat a few words when the clothing giant Next posted increased sales in the run-up to Christmas, with many claiming they had not expected the cold weather that generated sales of coats and scarves. While Marks & Spencer, House of Fraser and Debenhams all reported falling sales, Morrisons, Tesco, John Lewis stores, Waitrose and Sainsbury’s were all on the up. Pricing strategies and product ranges have a huge part to play in all this, but so does technology. Morrisons for example, improved its service by opening up more tills in the weeks prior to the festive season. Till technology is certainly evolving rapidly with the growth of self-scanning, contactless and smartphone-enabled payments. So it is worth having a quick look at what we can expect to see in retail over the next 12 months. The physical store is alive and kicking and set to be given a real uplift by the implementation of some dazzling new technologies. Research conducted by Vista has found that 81 per cent of UK consumers see the physical store as vital to shopping and 70 per cent say they enjoy the full, age-old experience of going into stores to browse, see what’s new and buy what they like. So it is clear that bricks-and-mortar stores are still very much at the centre of buying things for the majority of consumers, even if they are constantly comparing products and prices on their mobiles. Those who believed the future of the high street consists in being solely a touch-and-feel showroom for online sales may have to think again. There are some amazing examples of retailers that have made their physical stores very much part of their online success story and others are sure to follow. It is instructive that despite tech pundits predicting the end of the traditional till and a move to mobile payments, we see many retailers upgrading their trusted workhorse to the latest high-spec point-of-sale systems. Why? Because advances in hardware and software enable a far greater range of functions, together with more processing power and enhanced reliability. The till is now one of the great hubs of omni-channel retail and a means of providing excellent service, not a bleeping device that causes queues. Artificial intelligence (AI) has almost limitless potential and many store chains are going to expand, or experiment further with its deployment. AI may be a label stuck on any application now, but advances in machine learning are going to improve the in-store experience for all. In stores we can expect to see greater uptake of voice-activated AI to provide staff with instant access to information about products and services via a headset, saving time for customers. Instead of scrolling on a screen or using a keyboard, staff can simply find out about product specs or availability through voice-requests. Our research found that consumers also like the idea of using AI-powered, in-store screens (also known as kiosks) to search out products that fit their needs but which they were not previously aware of. This is an important development of the in-store digital assistant that both cuts out hassle and increases customer satisfaction. AI-based virtual assistants and applications will also remove a lot of queuing by enabling consumers to pay quickly on their smartphones. Throughout retail, voice commerce is very rightly a hot technology. Voice-recognition combined with artificial intelligence (AI), is now so effective that any instruction, request or command that would previously have been typed into a search engine can now be spoken. Intelligent, voice-activated systems can search for items and complete purchases without physical contact. Voice commerce will continue to revolutionise the way in which we use the internet and buy goods and services online, but its customer-facing applications will start to be heard in stores too. It is worth remembering that consumers already encounter AI in chatbots and technologies such as Amazon Echo or Microsoft Cortana. Customers accustomed to Siri and Alexa may not be as reticent as previous generations about using voice-commands to order, query or explore when speaking to a retailer’s smart application. Over the last 24 months the public has been switching heavily from cash to cards for purchases, but while retailers and retail services companies have been focused on the move to the contactless card, I believe that contactless card usage could reach its peak soon before entering a decline. We are on the verge of a breakthrough in mass acceptance of smartphone payments, either via Near Field technology using the existing contactless payment terminals, or through apps where the transaction payment takes place on customers’ devices. While contactless payment technology is relatively new to market, the plastic card is a fairly dated payment format. In an age where convenience is the driver, a payment that requires the consumer to carry an unnecessary item is surely due for extinction. Whatever form faster payment methods come in, their advantages will make a noticeable difference on both sides of the counter. The picture is similar with virtual reality (VR) and augmented reality (AR). VR headsets, which create an incredibly immediate but entirely artificial 3D environment, are increasingly part of the infrastructure of gaming. Yet for the moment, VR in retail tends to be restricted to providing spectacular promotional experiences, such as test-driving a car in dramatic landscapes. AR, on the other hand, will continue to expand. This combines reality with the artificial images generated by the software and has more direct impact on helping shoppers make exactly the right purchase. We can expect to see more AR in stores, whether it is smart mirrors that allow customers to see themselves in clothes without trying them on, or smartphone applications that overlay furniture and accessories in the store on a 3D image of the consumer’s living room. 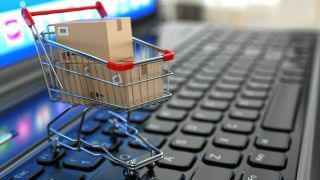 Whatever the ups and downs of retail, it is certain that technology will be the driver of its continuing prosperity. The truth is that physical stores will continue to evolve, using technology to meet our needs as consumers. Too much is read into retail failures and insufficient account is taken of the emerging success stories.